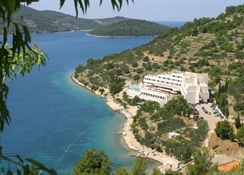 The hotel is situated in the bay of Plitvine, 2.5 km away from the centre of Vela Luka where guests will find shops, restaurants, bars and public transport. 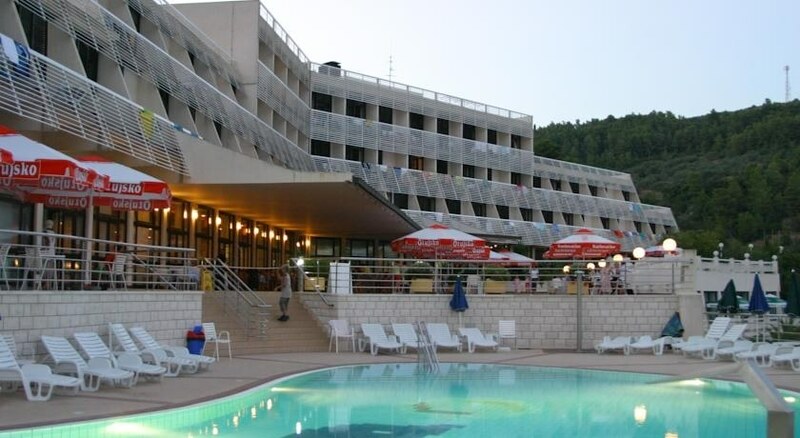 Dubrovnik Airport is approximately 170 km away.The air-conditioned hotel is a modern, all-inclusive beach hotel with 127 rooms and its own private beach, surrounded by beautiful Mediterranean vegetation and overlooking the sea. 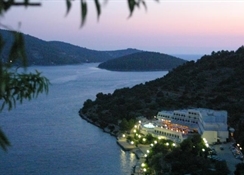 Guests are welcomed in a lobby with 24-hour reception, and additional facilities include a restaurant, a bar, lift access, a children's playground and currency exchange facilities. 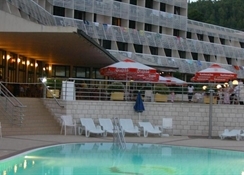 There is a car park for those arriving by road.ost of the rooms are sea-facing with a balcony. All rooms are air-conditioned and feature satellite TV, a double bed, a direct dial phone, and an en suite bathroom with shower and hairdryer.There are 2 outdoor swimming pools at guests' disposal, 1 large pool and 1 children's pool, as well as sun loungers and parasols. 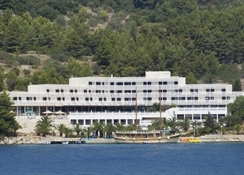 The hotel also offers tennis courts, beach volleyball courts and in the evenings there is live music on the sea-facing terrace with a beautiful view of the bay of Plitvine.The hotel offers all-inclusive packages.Directions from Dubrovnik by car: take the main road from Dubrovnik towards Split. Turn left and continue through the peninsula Peljesac. Upon arrival take the ferry to Korcula. From Korcula take the main island road to Vela Luka. There are daily ferry connections with Split (journey time of 3 hours).